Being creative is . 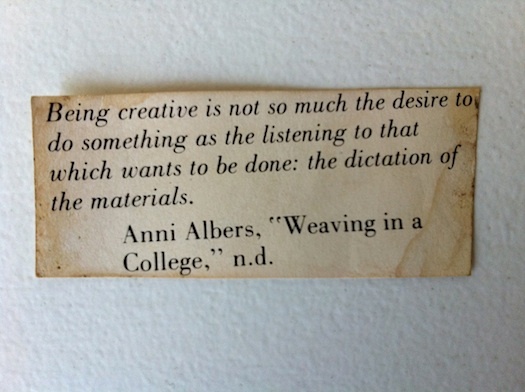 . .
Love this nugget from "artistic adventurer" Anni Albers, as seen on The Improvised Life.